Gary was not apropos with this sport, hockey was new to Oklahoma City and somewhat distant from his knowledge of the athletic contest. His erudition from his high school sports calligraphy era and heralding from the west coast, he lost interest in a number of major professional sporting events, save the National Football League. It wasn’t until his senior year at Castlemont High did the Dodgers and Giants arrive on the west coast giving carriage to major league baseball. For some reason a sundry perception of hockey lingered, an event produced on a rink was more for entertainment rather than contest, much akin to the Ice Capades and Roller Derby. 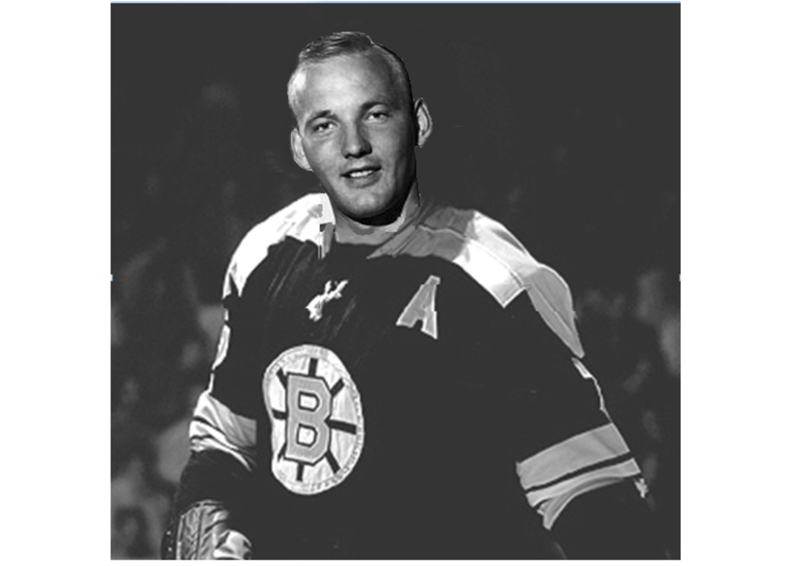 But with a witnessing, this perception all changed, hockey acquiring his total respect with its athleticism and the discerning expertise of the combatants. Bob and Jerry’s Apartment Key Club provided a secluded place of assemblage, acquiring little attention from Oklahoma City’s bedlam of nightlife aspirants, but a congress for many professionals seeking anomalous proprietary. 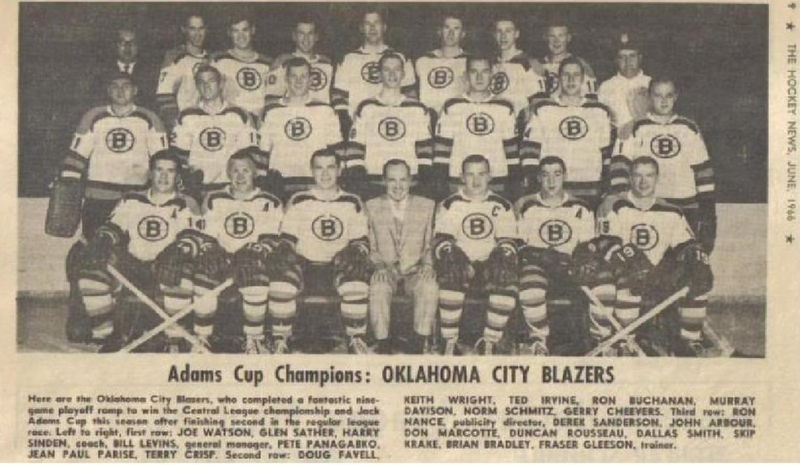 The Oklahoma City Blazers, a farm team of the Boston Bruin (NHL) National Hockey League, components of the Central Hockey League introducing professional hockey to the city at the Fairgrounds Arena to an overwhelming attendance of admirers. 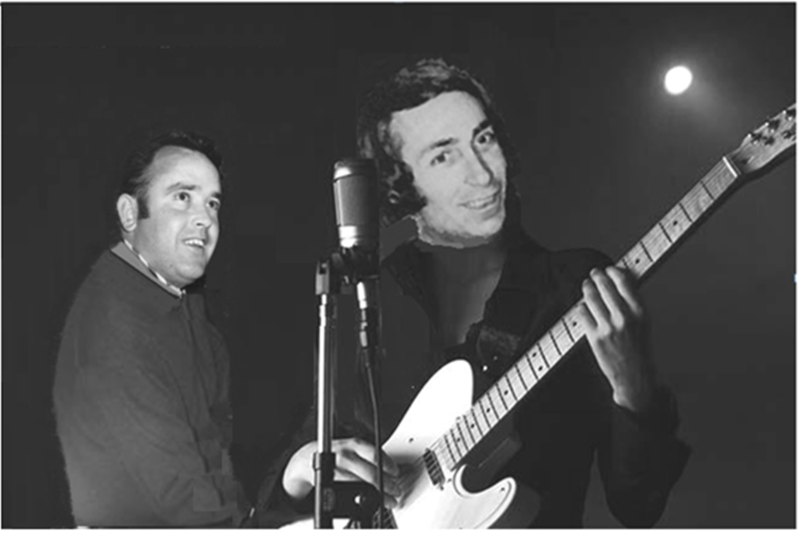 The Blazers also introduced to an admiring residency in Bob and Jerry’s Apartment Key Club, able to experience diversion from the discipline rigors of their profession without publication or notoriety. Gary making the acquaintance of Harry Sinden, the player coach and the likes of Gerry Cheevers, Wayne Cashman, Dallas Smith, Bill Goldsworthy and Derek Sanderson ,the teams disciplinarian who upheld the motto, “if you can’t win the game, at least win the fight.” The musician discovering the Canadians to be deferential and magnanimous of their Oklahoma City surroundings and not without distinction in appreciation of his melodious application. Gary’s wife Kaye also becoming addicted to the skilled combative sport, happening upon a high school friend Ron Norick who besides having a prestigious father serving as Mayor of Oklahoma City since 1959, was the publicity agent for the Blazers. The Clubs attendance continued growing, other known personage inhabiting the piano presence in the evening hours included local television personalities and their guest, Bob and Jerry’s Key Club a discrete unpublished accommodation of opportunity. A sense of accomplishment flourishing, the musician discovering a certainty in his solo playing environment not missing the activity of the road, but as time progressed a sense of lassitude began to infiltrate with the challenge removed. The of six nights of continuous ascension beginning to reach a crescendo, the accommodation starting to become complacent, Gary questioning his resolve, searching for accessible solution. His quest for an answer arriving, his best friend, the incomparable guitarist and sax player band member Jerry Willis, who’s performing having been idled by his day job agreeing to return to the euphonious world of music on weekend nights. The addition of Willis on Friday and Saturday nights soon assured a major capacity. The financial realm of the club was ascending, but the nightspots’ quiescent aura that once prevailed was capitulating its flavor, its soft glow atmosphere diminishing. Bob and Jerry new-found financial windfall, venturing to enlarge the seating capacity, rendering the removal of an office wall and disposing of the ambient circular piano-bar. An extension to the bar counter subsequently embracing room for the piano and other instrumental accord. The musician was complacent with the clubs success but disconsolate with the mutation of its new atmosphere, his conjecture being of no consequence falling on deaf ears. With the clubs expansion completed a celebrated luau was provided with over hundred congratulatory participants. The field of endeavor featured a suckling pig and all the trimmings with those in attendance dressed appropriately for the occasion and with it the joyous anticipation of an increasing prospect. It was evident, Gary could sense the uncertainty about the future vacillating, the pianist questioning the change with a wonderment if the saying ” a bird in the hand is worth two in the bush” might be true. This entry was posted on November 4, 2016 at 5:08 am and is filed under Uncategorized. You can follow any responses to this entry through the RSS 2.0 feed. You can leave a response, or trackback from your own site.